The 7.5-mile Atlantic County Bikeway offers a relaxing escape from the crush of traffic surrounding Atlantic City, the beachfront gaming and resort town. 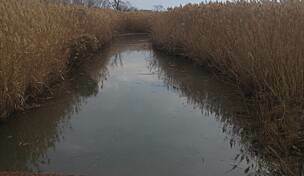 The trail is situated 9 miles west of Atlantic City, near the nexus of the heavily traveled Atlantic City Expressway and the Garden State Parkway. Quieter two-lane roads paralleling each end of the bikeway provide convenient trail access. Wide swaths of mowed grass flank the clean, well-designed trail. 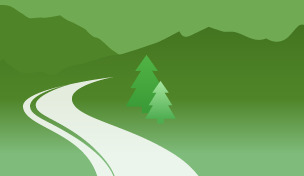 Strategically planted trees provide a welcome buffer from the roads, and the 15 secondary road crossings are clearly marked for trail users and motorists. 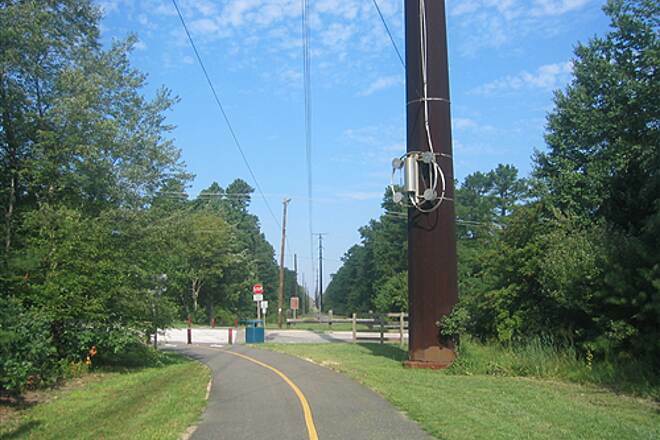 The trail periodically curves around utility poles, incorporating overhead electric lines into the design. Starting at the Shore Mall, the trail passes through a corridor of trees. 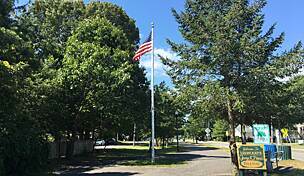 About 0.5 mile from the start, the trail runs between Reega Avenue to the north and West Jersey Avenue to the south. 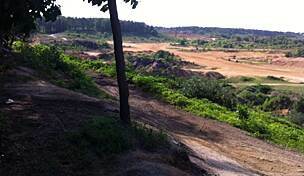 The adjoining landscape is a mixture of residential neighborhoods and undeveloped woodlands. A few benches make great rest spots, but places to stock up on supplies are scarce. Be sure to bring your own food and water. The eastern trailhead is at the north side of the Shore Mall parking lot. 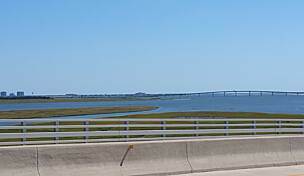 From Atlantic City follow SR 322/40 (Black Horse Pike) west toward the Garden State Parkway. Cross under the parkway and turn left into the Shore Mall. Turn right and follow the outside lane of the parking lot to the north side and look for designated Atlantic County Bikeway parking. The western section of the trail lies between the east- and west-running sides of Atlantic Avenue. 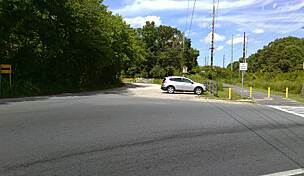 The trailhead is between Atlantic Avenue and at the intersection of 19th Street. Follow Atlantic Avenue west to reach the trailhead. Parking is available on the south side of the 19th and Atlantic intersection. 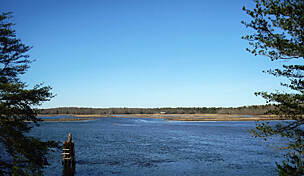 There is additional parking just east of Mays Landing at the intersection of Atlantic Avenue and English Creek Avenue. Atlantic County Bike Way ~ West, Anyone? 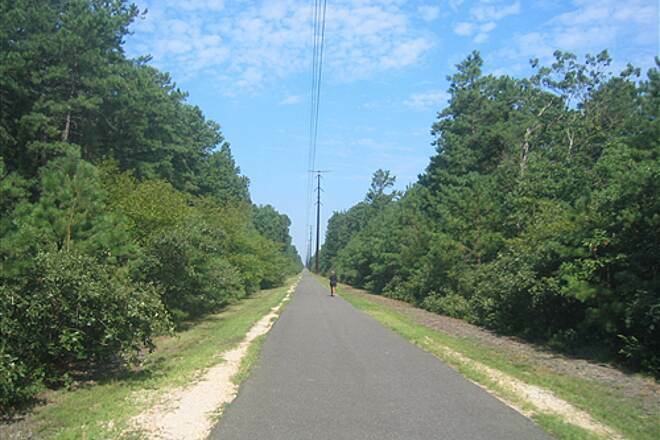 Above is my take on the Atlantic County Bike Way ~ East, I'm more concerned with the County, State and Outside Enthusists funding and building the Atlantic County Bike Way ~ West. 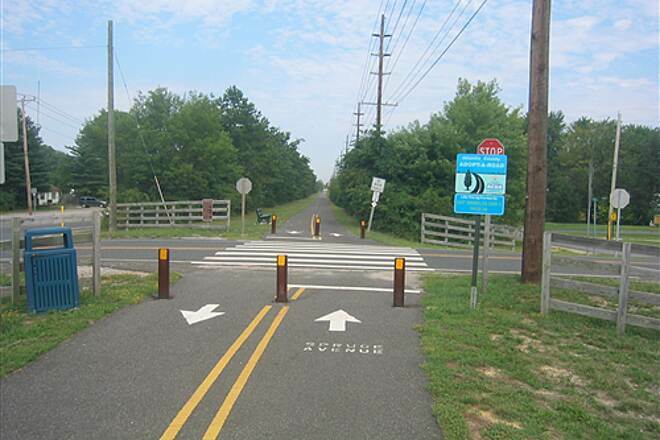 For those who don't know, the AC Bike Way is Divide into 2 separate Bike Way's and the Middle Point is Mays Landing, NJ. The Bike Way West WILL be a very secluded Ride, but has a lot of potential in becoming a must do Day Trip/Ride. The reason I say this is because there is so much to stop and see on the AC Bike Way. Here is a short list of places you won't want to miss on your Ride ~ Tuckahoe Micro Brew, Lazy Eye Vodka Distillery, Funny Farm Animal Rescue AND the Baltic Winery. All these business are free to visit (Adult Beverage Establishment offer free Adult Beverage tasting to those of legal age and will offer discounts to Bike Way users when the Bike Way is up and running) All these business are located a 100 yards or less from the AC Bike Way ~ West. 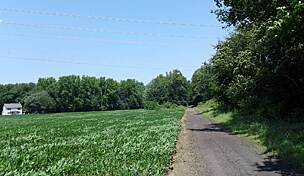 It is a pleasant ride, and I find it more engaging to ride the parallel back roads out to Mays Landing. There is not much traffic. Going east from the Pleasantville trailhead, there are signs that take you to either the westbound Somers Point trail (which ends at the Ocean City 9th St Bridge, a great ride), or eastbound to Albany Ave into Atlantic City (not for the faint-hearted!). We liked this ride. We did this trail down to the end (ACIT) and back. It's a nice paved path, well-marked road crossings, and the local drivers are actually nice about stopping to let you cross in the crosswalks. It's not very scenic, as pretty much all you can see is the brush on both sides (and the streets on the other side of that, but there is an interesting little park that looks like some sort of Buddhist temple (we saw a monk in his robes, but no signs). Good ride for the exercise, or with kids (but watch the road crossings!). I never give out one star so with that said I will give you my thoughts on this trail. I drove over from Wilmington De and did four trails in one day, just a little over 40 miles. It was not the best Weather day but I had a nice day. This trail is more like a Green Way then a Rail 2 Trail. The pavement is not the best and it is not a well used trail as I rode from the west end in the Am and came back in the Pm and did not see much traffic. You can park at Atlantic County Institute of Technology at 5080 Atlantic Ave. Mays Landing. The best part of this trail is it dose have mile markers every half mile. From the west end the first half is has power lines running over head, the second hald is more like a Rails 2 Trail. I would not go out of my way to do this trail again. rode this one on sat. 3/22/14. due to severe injuries, it was my first ride in over a year, so my needs were short and simple. it did the trick-i surpassed my goal of 10 miles by 2, but this was the most boring trail i've ever been on, and i've been on dozens in 7 different states. all in all, it was just what the dr. ordered (no pun intended) for right now: flat, uncongested, in pretty good condition, and barely even a bend in it. I was impressed with this 7.5 ride, doubled it for a 15 miler. It was clean and well maintained. One must abide by road rules and stop at the intersections, but it's worth it! The only place you can buy a drink is at the English Creek intersection. Enjoy a nice ride! There are many local cross streets on this trail, so keep an eye out. Some of the approaches to these streets are on a bit of an incline, so that would hope to slow you down. I do believe that the trail will gradually find its way westward little by little; the funding was already in place. 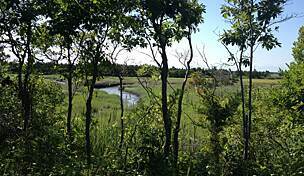 This trail is a prototypical New Jersey cyclng experience, an arrow-straight shot through pine trees and marshlands. It provides a very nice corridor of quietude in a busy region. That same quality, as noted in another review, means it's bereft of any facilities so be self sufficient if you plan on travelling the entire length and back. 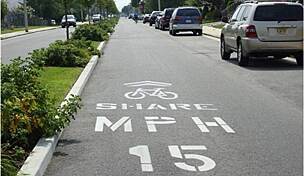 Hopefully, some way will be found at the eastern end to get cyclists safely through the congestion of the Shore Mall and a Garden State Parkway interchange if they want to continue to Atlantic City. 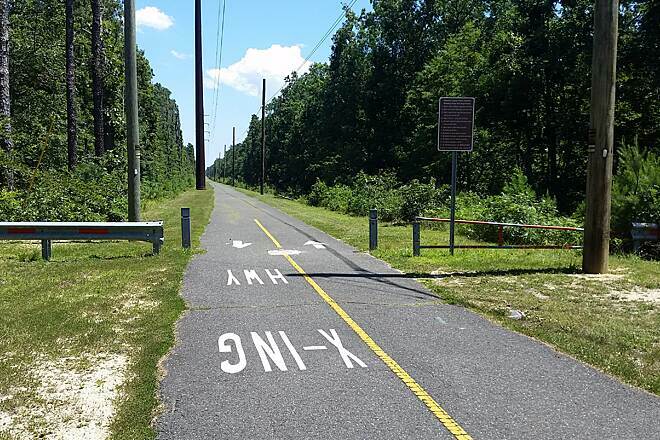 Also, the abandoned rail corridor extends from the western end through Mays Landing, all the way to Newfield, NJ. Let hope that can be reclaimed with the same first-rate results as the existing trail was. My husband and I along with our beagle, Vicki, in tow, traveled this trail on a very warm August morning. Bring along plenty of water as the trail is mostly sunny. But be warned there are no accomodations along the way. As the trail is paved, biking is quite easy (even towing a 35 lb beagle!). We plan to bike it again when we are camping in the area. "We rode this completely paved trail in August. With very little incline, except at some road crossings, it makes for a nice family ride, although it may be a little long for the younger family members. There are no refreshment stops unless you plan on checking out the Shore Mall (lock your bike securely). Bring your own refreshments if you would rather stick to the trail. 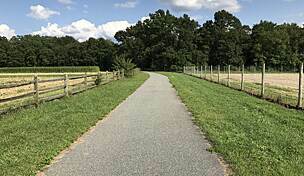 Some benches or picnic tables would be a nice addition to this new trail, but having another old rail right of way put to good use is a great resource in this part of southern Jersey."